Save on your next flight from KSZ to CMH when you book through Travelocity. Need a last-minute flight to Columbus? Travelocity offers discount airfare no matter when you book, even on popular routes such as Kotlas Airport to John Glenn Columbus Intl. Airport. Whether you need a direct or indirect flight, you can trust Travelocity to provide you with the best prices for KSZ to CMH flights. Explore Columbus with Travelocity's Travel Guides to find the best flights, cars, vacation packages and more! Situated near the airport, this hotel is within 6 mi (10 km) of Airport Golf Course, Easton Town Center, and The Golf Depot at Central Park. Gahanna Municipal Golf Course and Gahanna Historical Society are also within 6 mi (10 km). 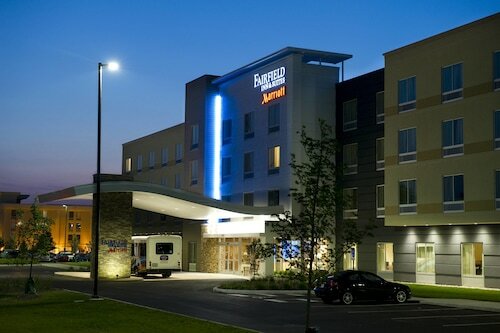 The Hampton Inn Columbus - Airport is 7 miles from downtown, the Columbus Museum of Art, and the Arena District. The Columbus Zoo & Aquarium is 22 miles away. Ohio State University and the Greater Columbus Convention Center are also nearby. 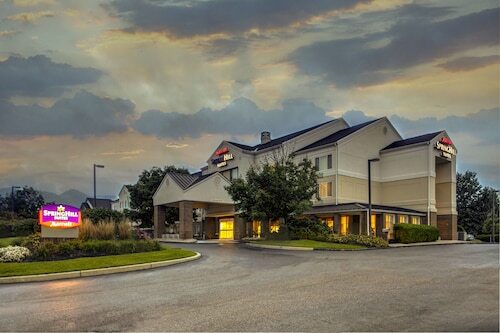 Situated near the airport, this hotel is within 6 mi (10 km) of Airport Golf Course, The Golf Depot at Central Park, and Gahanna Municipal Golf Course. Gahanna Historical Society and Creekside Gahanna are also within 6 mi (10 km). Situated near the airport, this hotel is within 3 mi (5 km) of Airport Golf Course, The Golf Depot at Central Park, and Gahanna Historical Society. Gahanna Woods Park and State Nature Preserve and Creekside Gahanna are also within 3 mi (5 km). See all 244 Properties in John Glenn Columbus Intl.